Yes I got a blanket kit in the mail and the pattern is called the natalia round afghan. 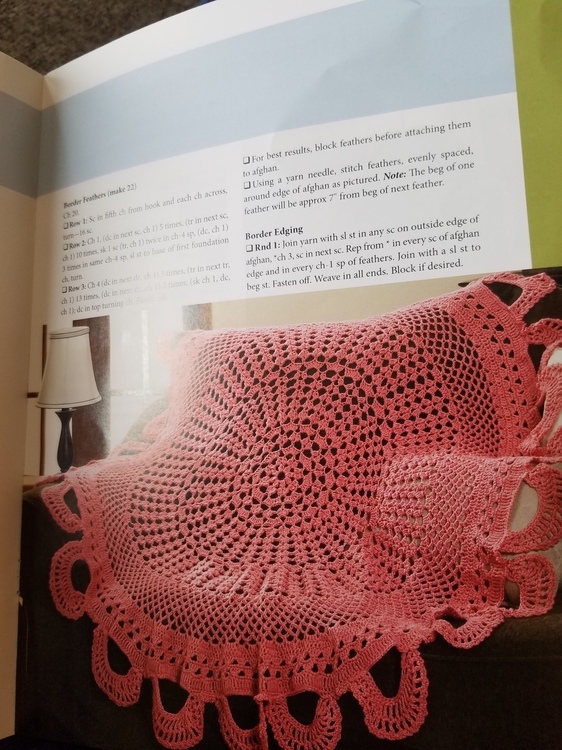 I looked at the pattern and it says nothing about the usage of 2 yarn balls or 1 to start with. I got confused. 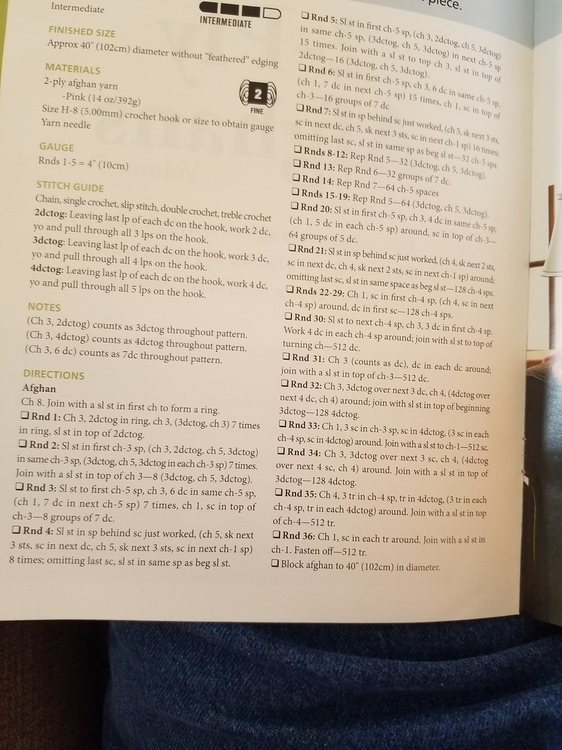 I got the Afghan kit from herschners so I need help with the understanding of the pattern. Sent 2 photos to see if guys and gals can figure it out for me. Thanks. Pretty pattern! The US Standard yarn weight designation of this yarn is #2 weight (the '2' in the little ball of yarn graphic under 'materials), and it also is referring to '2 ply' yarn, which literally means the number of single ply yarn threads twisted together to manufacture this yarn. In the US this weight of yarn is commonly called Sport weight. Below is a link showing US yarn weight descriptions. The yarn weight in your kit coincidentally has 2 plies and is #2 US weight, but literal plies and yarn weight don't correspond in modern terms -- you can have 6-ply tiny doily thread, and 1 ply super bulky yarn nowadays. I'm mentioning all the above because I'm guessing the description of 2 ply is making you think you are to use 2 balls of yarn at once - no, just 1. The pattern would have told you to 'hold 2 strands together' if you were were supposed to do this. You will be working with 1 strand only.